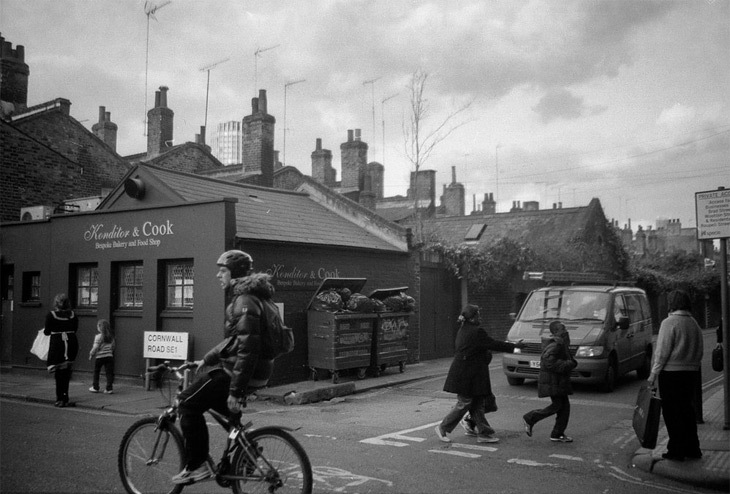 A perfect moment of everyday life from Cornwall Road corner (London) captured by Tina Gao. The Waterloo neighborhood behind my university campus looks like a Dickensian village. There’s something quite romantic about the intersection near a popular bakery that comes alive in the afternoon, as students leave class to head for the pub, parents bring their kids home from school, and workers nip into the bakery for a few slices of lemon chiffon cake to bring back to their families.